The need to transmit information related to voice processing over the wireless LAN is eliminated, which dramatically reduces network traffic. Speakeasy is the only voice-enabling technology for terminal emulation implemented through scripting on the mobile device itself. Many voice solutions rely upon user-specific voice profiles and continual management. 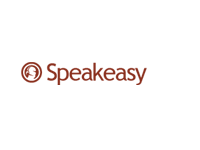 Speakeasy utilizes a powerful and proven speech recognition engine eliminating the need for voice profiles. With the Wavelink® scripting engine, on-screen text or custom phrases are vocalized through the emulation screen. Further customizable elements include vocabularies, languages and voices. As the pioneer of server session persistence technology, Wavelink offers proven solutions you can count on for demanding environments and applications. 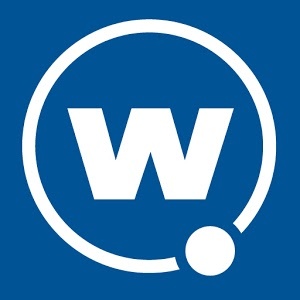 In use around the world for over fifteen years, Wavelink provides dependable mainframe application access in challenging RF environments or for sensitive applications where constant connectivity is critical. Speakeasy eliminates negative impact on network bandwidth with 100% of the voice processing occurring on the mobile device. There is no need to expand the network infrastructure to accommodate the integration into legacy applications. Speakeasy offers native language support for global deployments and for regional dialects. This provides speech-to-text and text-to-speech functionality for a wide variety of languages, even if the mobile device does not support the display of the language. Nuance’s robust speech-to-text and text-to-speech engine provides a feature rich experience with maximum accuracy and ensures seamless transition from spoken prompts to text-to-speech. Deployed quickly and easily via Avalanche, Wavelink’s industry leading mobile device and infrastructure management solution, administrators can deploy Speakeasy to every mobile device in the enterprise. Administrators can also manage user voice training profiles and send them down to the appropriate device all from the Avalanche centralized console. Speakeasy’s flexibility allows for it to be loaded via Microsoft ActiveSync, Motorola MSP or Wavelink Avalanche. Proprietary hardware such as servers, mobile devices, or headsets are not required maximizing the return on investment of existing hardware. Quickly and easily add text-to-speech and speech-to-text functionality to existing Wavelink Terminal Emulation or Web-based applications. The Screen Reformatter, available through Wavelink Terminal Emulation, allows administrators to easily add voice support to existing terminal emulation applications. Configure any grammar file, speech-to-text or text-to-speech functionality right from the Reformatter interface and optimize TE screens. The Wavelink Script Editor enables the enhancement of emulation screens with text-to-speech and speech-to-text functionality. Executed on the device, the scripts add no additional network traffic and eliminate the need to upgrade or add servers unnecessarily. Through the Wavelink Terminal Emulation client interface, users and administrators can easily access monitoring and diagnostics tools that enhance the usability of Speakeasy. An on-demand speech calibration tool lets users calibrate the speech-to-text engine so that they can quickly and easily optimize Speakeasy for their particular hardware and environment. A real-time confidence level viewer shows users the accuracy of the users speech and lets users better diagnose speech-to-text inaccuracies such as background noise. A perpetual speech-to-text status indicator shows when Speakeasy is listening for user voice input. This allows users to better ensure that they speak when the speech-to-text engine is listening. In addition to enabling any field on an emulation screen to accept voice input, Speakeasy also enables the use of voice input to launch applications, navigate screens or execute menu selections, as well as the vocalization of on-screen text and custom phrases. 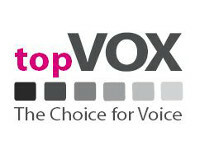 Many voice implementations require the use of specialized, voice-only mobile devices. Speakeasy runs on voice-capable mobile devices that support multiple applications and multiple input types. Configured, deployed, viewed, analyzed and managed wirelessly from a central console, Wavelink TE clients and scripts minimize the costs of additional licensing and reduce management time.